Less than three weeks after Kenny Chesney wrapped his highest-grossing tour ever ($114 million, reports Billboard), he is already making plans for next summer. 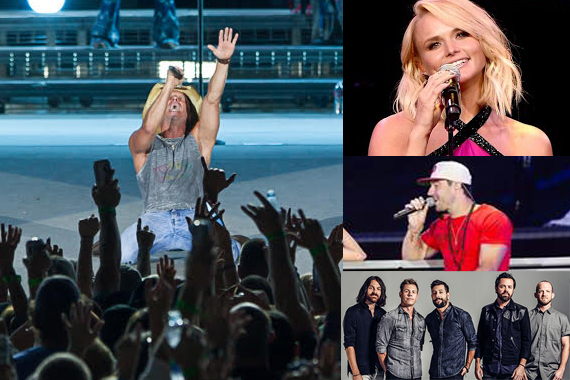 Chesney has tapped Miranda Lambert, Sam Hunt, and Old Dominion to join him on tour dates for 2016. ​“Miranda is the real deal,” Chesney says. “She’s a songwriter, first, and a real vocalist. She’s put it all out there when she’s on stage, and I loved touring with her so much in 2009, I can’t believe it’s taken us this long to get her back out here – because I love every single thing about who she is as an artist and a person. ​“The second I heard Sam’s demo for ‘Come Over,’ I knew he was onto something very unique,” continues Chesney, who cut the Hunt-written song. “Watching him develop as an artist, seeing his songwriting evolve – and knowing how he brings it when he gets onstage makes him a perfect act to come out with us. He’s fun, alive and all about the music. Dates have not yet been announced.